The Second Circuit Court of Appeals recently put the brakes on the victory won by civil rights and social justice groups in Floyd v. City of New York. Many New Yorkers had been condemning the NYPD’s policy of stopping young Black and Latino men, and frisking them, without probable cause. The trial ended in May and the Judge ordered the appointment of a Monitor who would work with local groups to create reforms in police practices, including a pilot-program use of body-worn cameras in each borough’s most highly stopped precinct. A summary of the ruling can be read here. The myth is that Commissioner Kelly and Mayor Bloomberg “won,” and the trial is overturned. This did not happen. 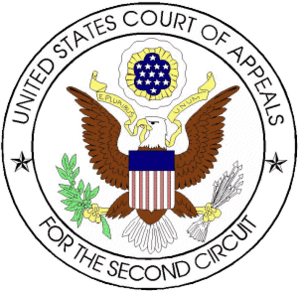 The Second Circuit merely put a hold on the judge’s orders until the appeal is heard in the appellate court. The Second Circuit also chastised the trial judge for speaking in the media regarding the case. This may signal a key technicality for the City of New York to pursue on appeal, because the statistics and substance don’t lie. As the plaintiffs’ attorneys (Center for Constitutional Rights) amply proved in the trial: it is unconstitutional to basically stop everyone of a certain age and ethnicity figuring that, mathematically, the police are bound to catch someone doing something illegal. Ironically, as it turns out: the White people who were stopped had a higher rate of illegal behavior. What supporters of the policy don’t seem to realize is that it would not matter which ethnicity had a statistically higher probability of, for example, having a bag of cocaine in their pocket- this sort of ‘catch-and-release’ fishing expedition is a violation of the Fourth Amendment right to be free of illegal search and seizures, along with the Fourteenth Amendment right to equal protection under the law. What will the new Mayor do? How vigorously will the city pursue this case under everyone’s expected new mayor, Bill de Blasio, will be interesting. He has publicly opposed Stop and Frisk. The City attorneys could spend millions of dollars further litigating this case, or simply withdraw the appeal and comply with a very modest and reasonable court order. The removal of original trial Justice Shira Scheindlin means that any re-trial would be assigned to a different judge. Oddly enough, the City did not object to Scheindlin’s original appointment, and she was the proper judge considering that the Floyd case stems from the NYPD’s failure to comply with a prior case (Daniels). Anyone who read her lengthy pre-trial ruling on whether expert testimony would be admitted was put on notice that the City had a serious bit of explaining to do, as the evidence of racial bias was quite glaring. The Second Circuit creates more opportunities to organize the community. Communities United for Police Reform (CPR) has unified many grassroots and advocacy organizations throughout the City. This organizing includes bringing together people victimized by harassing police frisks, and pushing the City Council to appoint an Inspector General over the NYPD (and overriding Mayor Bloomberg’s veto). Certainly the City, and the NYPD, realize that a second trial would just keep them on the front page of the New York Times. The public advocacy effort has been so thorough, that a recent lecture by Commissioner Kelly on “community policing tactics” was protested at Brown University in Providence, Rhode Island. After a decade of Kelly explaining these unconstitutional tactics, even students and activists outside the City would like him to listen, rather than lecture. The NYPD’s “Stop and Frisk” issue includes egregious high profile police killings such as Amadou Diallo, Sean Bell, RaMarley Graham, and Shantel Davis and more. The nation’s largest police force is at a crossroads of whether it becomes more constructive and controlled by the community, or whether it exerts more control over the community; or as it has been historically, more supportive some sub-communities, while more controlling over others. Most people would not disagree that a neighborhood would benefit by having a helper, a referee, and a bouncer on the corner. One that is respectful and trained in conflict resolution, who is trained to interact with mentally ill people, and has a large scale understanding of complex social problems. People want and deserve highly trained and highly effective individuals being constructive in the community. This means more than simply training police as soldiers. We don’t need anymore war in America. This entry was posted in Courts, Police and tagged appeal, Center for Constitutional Rights, Kelly, Michael Bloomberg, New York City, New York City Police Department, New York City stop-and-frisk program, NYPD, Shira Scheindlin. Bookmark the permalink.